Dear Readers, on this last Wednesday before Christmas it was impossible to resist the temptation to feature a plant with a Biblical theme. And what should I find growing in the car park behind All Saints Church on Durham Road in East Finchley than a patch of Yellow Archangel (Lamiastrum galeobdolon argentatum). There are two forms of this plant: the one in the photograph with the silvery patches on its leaves is the cultivated variety, but the green-leaved variety is a native plant, and an indicator of ancient hedgerows and woods. However, the silver-leaved garden variety is also cropping up in much wilder settings, such as the hedgerow behind my Aunt Hilary’s house in Somerset. In fact, the cultivated variety of the plant is now on Schedule 9 of the Wildlife and Countryside Act, which makes it illegal to grow it in the wild. The problem is that it spreads rapidly, and can impact on other, less robust plants. 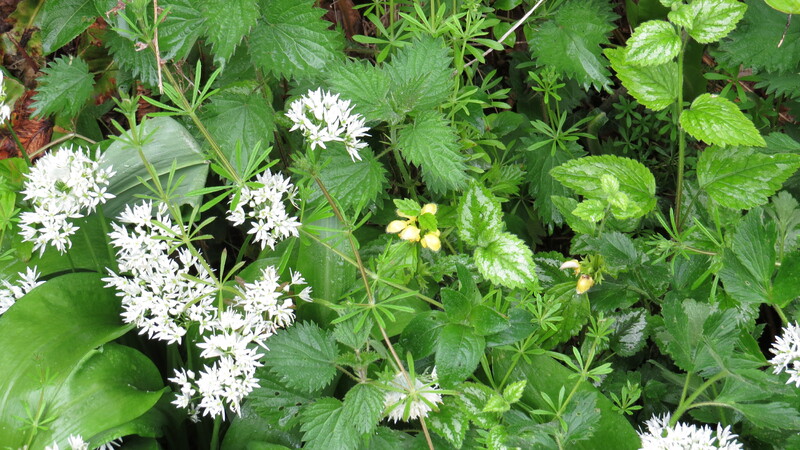 In the picture below, however, it seems to be fairly well integrated with the Goosegrass and the Wild Garlic (not that you would want to go petal to petal with either of these two bruisers). Yellow Archangel in flower in Somerset last year. The flowers of Yellow Archangel, as with all of the dead-nettles, are exquisite when viewed up close. They have co-evolved with the bees that pollinate them- the ‘hood’ of the plant bows down when a heavy insect lands, anointing the animal’s back with pollen, while the lower lobe acts as a landing platform. It amuses me to think how upset many Victorians were when evolution began to clarify the relationship between flowers and pollinators: previously, it was thought that the beauty of blossom was all about appealing to the human senses. In fact, as we now know, it’s all about ensuring the continuance of both plant and bee, an exquisite relationship that has developed over millenia. We are not the centre of the universe, after all. The Latin species name for Yellow Archangel, galeobdolon, means ‘to smell like a weasel’, as apparently this is what the scent of the crushed leaves resembles. The plant also has the vernacular name of ‘Weasel Snout’. I have never had the opportunity to catch a whiff of weasel, and I suspect that they are few and far between in my north London half mile territory. Nevertheless, here is a picture of one, because it’s Christmas, and what a gift this bright-eyed little predator is. 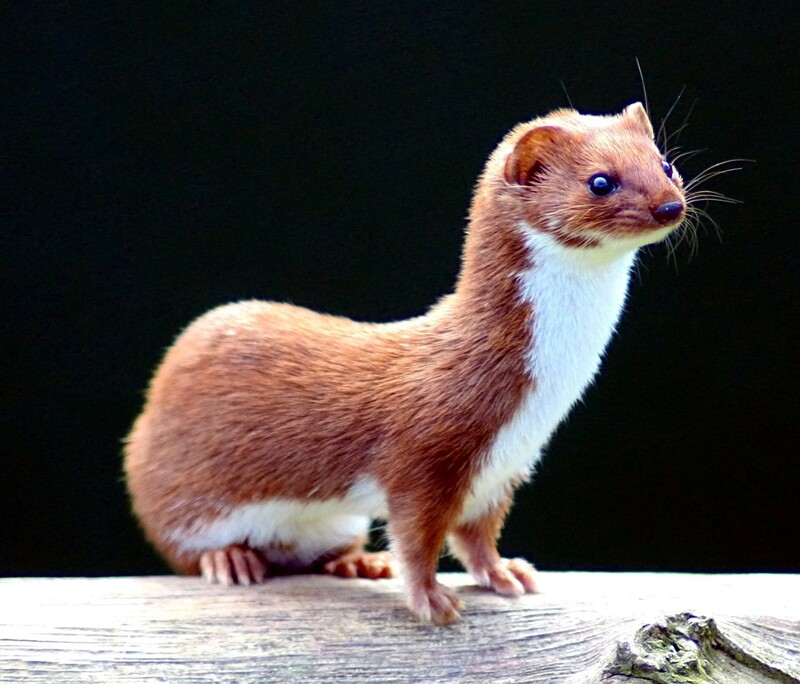 Common Weasel (Mustela nivalis). Photo credit below. 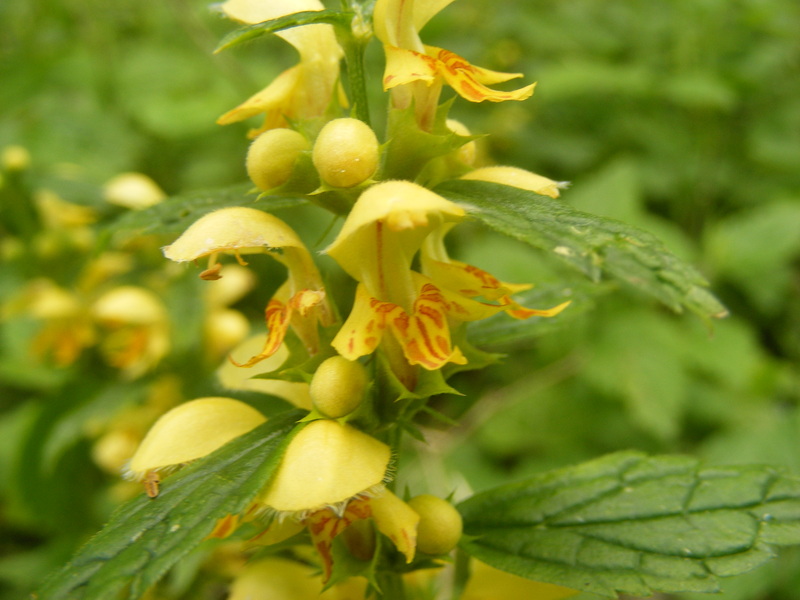 Yellow Archangel is closely related to both White Dead-nettle and Red Dead-nettle, but Culpeper tells us that for ulcers and sores, Yellow Archangel is more efficacious than the others. Why Archangel, though? This name is used for many of the dead-nettle varieties, and Richard Mabey suggests that this may be because the plants have no stings. I wonder if there is also something rather angelic about the shape of the flowers, if you squint a little. 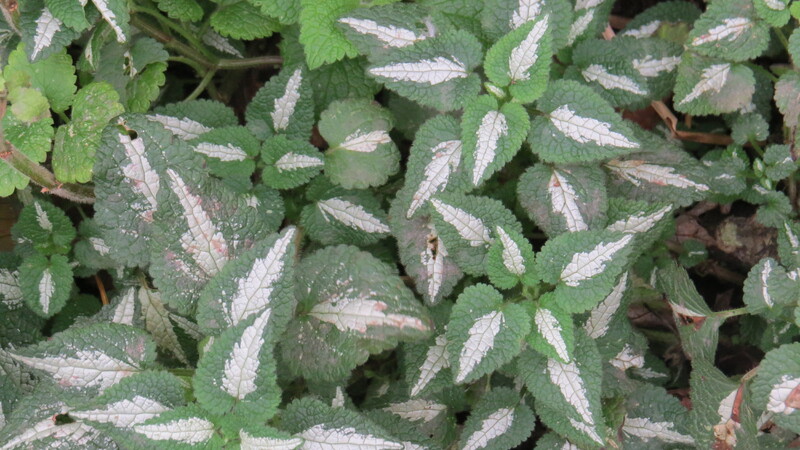 I particularly love the Glaswegian name for the garden variety with its silver leaves – ‘Aluminium Archangel’. This sounds to me like a name for a piece of civic sculpture, maybe like the one below, at the N1 shopping centre in Angel, Islington. 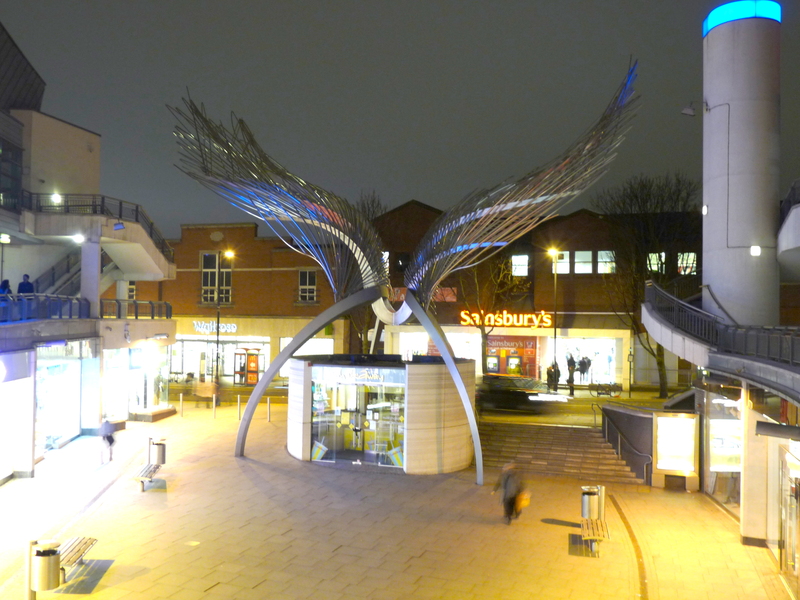 Angel Wings sculpture in front of the N1 shopping centre in Angel, Islington. Sculpture by Wolfgang Buttress and Fiona Heron. Photo credits below. So, dear readers, by the time I publish my next piece Christmas will be over for another year. I wish those of you who are celebrating time to rest and reflect and recharge in the midst of the maelstrom that the festive season has become, and to all of you I send my hopes for a peaceful spirit, an inspired heart and a healthy body with which to meet the year ahead. This entry was posted in London Plants on December 23, 2015 by Bug Woman. Ms. Bug Woman, I thank you for your kindred spirit a continent away. Please have a lovely holiday season with hope for your continued connection to the wild ones in the new year! Have a great holiday season too, Marla – it’s lovely to know that the internet can connect kindred spirits even if there is half a world between them. Glad that at last I’ve succeeded in connecting up with your blog. Have been enjoying your posts and this one is a particular pleasure, beautiful to look at and informative on many fronts. Enjoy your festive season whether in heady maelstrom or quiet contemplation. Season’s Greetings, Bug Woman. Thank you for all your updates and insights, keeping me in touch with the ‘weeds’ and hedgerow plants of my childhood…plus extras. I loved the aluminium angel connection! Thank you Maria! And thank you for your wonderful tropical plants too. You are such a talented photographer. And to you, Classof65, I hope you had a wonderful day, and that you have a happy and healthy 2016.